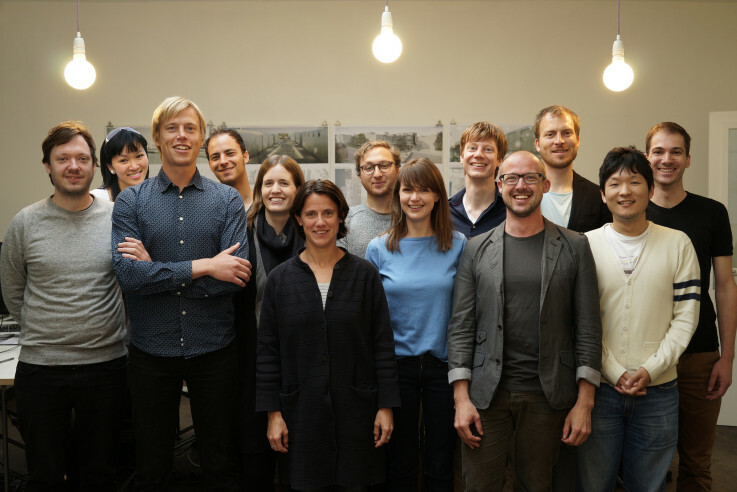 The Topos Landscape Award 2014 will be presented to landscape architects LOLA (Lost Landscapes) from Rotterdam, the Netherlands. LOLA researches and designs the never ending development of the landscape, city as well as countryside. Founded by Peter Veenstra, Eric-Jan Pleijster en Cees van der Veeken in 2006, LOLA designs and researches public space at different scales.The three partners share their ideas and views on landscape with great enthusiasm as lecturers and teachers at various international academies and universities. Characteristic for LOLAs work is the fusion of urban and natural landscape and the integration of innovative spatial phenomena. From our backyards to regional extend, they design green urbanity, maximize the accessibility of the landscape and enrich of our daily environment. LOLAs goal is to recognize new design challenges at an early stage and to propose creative solutions. Every project is approached as an unique part of an endless landscape. This years Topos Landscape Award will be presented at the Rolex Education Centre of EPFL university in Lausanne on October 8th. The ceremony will be held as a special event of a conference on The Narrative of Landscape, organized by Archizoom.